Know your car insurance terms. There’s no doubt that car insurance can be both expensive and confusing. It’s also extremely important. That’s why it’s important to take as much of the mystery out of subject as possible. To do that, you’ll want to know just what certain car insurance terms mean. Here’s a rundown of some common terms and what they mean. Collision coverage is car insurance that covers the cost of damage to your vehicle no matter who is at fault in an accident, according to CNET. In many cases, this is the kind of insurance you’ll want for your car. 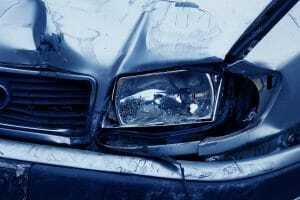 ” If you drive a new car, a classic or just something near and dear to your heart, collision coverage is a good buy — in fact, if you’re financing your vehicle, it’s likely a mandatory expense,” the site rights. A deductible is the money that comes out of your pocket before your coverage kicks in. A high deductible usually means you’ll pay less in premiums, while higher premiums often usually bring lower deductibles. “To put it another way, a high deductible can save you money every month. You’ll have a big bill to pay, though, if you file a claim,” according to QuoteWizard. Comprehensive coverage is coverage for damage not caused by a collision. That amounts to plenty of possible problems. “Ex-lover took a baseball bat to the quarter panel? Covered. Hit a deer? Covered. Car stolen from the mall parking lot, caught fire during a riot, floated away during a hurricane? Covered, covered and covered. As with collision coverage, comprehensive is worth the price if you drive a new or otherwise valuable car (and it, too, could be mandatory if you’re still financing your ride),” according to CNET. Liability insurance is the minimum amount of car insurance. It pays for damage or injury you cause to others, but doesn’t cover your vehicle.